Zakros is a small town on the east coast of Crete, less than 40 km south-east of Sitia . Through Zakros leads the main road leading from the north coast to the 8 km distant Kato Zakros, where there are ruins of the Minoan palace and the entrance to the Gorge of the Dead. However, few of those who are going to these places stop at the center of the village of Zakros and leave the car to explore this interesting place. Zakros is a relatively large village, which also "manages" a few smaller villages in this area: Kato Zakros, Adravasti, Azokeramos, Kellaria, Klisidi, Ayios Georgios, Sfaka, Kanava and Skalia. At the top of the village of Zakros there are springs supplying about 800 cubic meters of water per hour. In the past, water from these sources has driven the surrounding water mills, and now it overwhelms over 250,000 olive trees growing in nearby groves. This is important because around 800 permanent residents of Zakros are mostly farmers, whose main source of income is money obtained from growing olive trees. This area of Crete is known for the fact that the oil produced here is among the best on the island. Its high quality is apparently due to the specific soil morphology and the aforementioned spring water. Few people living in the area of Zakros find employment in the tourism sector, because in this area it is underdeveloped. The far east of Crete is still the least "contaminated" by mass tourism. No large hotel complexes have been built here so far, so the entire area of the island "does not exist" for travel agencies. At present, on the east coast of the island you can find accommodation only in a few private and relatively small guesthouses. Personally, we hope that this situation will not change for many years. What is important, guests who stay in Crete as part of the so-called organized holiday, to the Minoan palace and the gorge in Zakros can only reach by rented cars. From what we know, travel agencies do not organize optional trips, which in their program have a tour of the area. However, it is not only the lack of hotel infrastructure that affects the tourist separation of the Zakros region. The second additional factor is the large distance from the airport in Heraklion , where most of the charter flights land. It is true that there is an international airport next to the town of Sitia , but for now it plays a marginal role in servicing tourist traffic. For the above reasons, this piece of Crete raises more interest in principle only among individual tourists, who repeat that here in the east you can still see a piece of wild and real Crete. You can not say much about the history of Zakros itself. The Venice census made in 1721 did not mention its existence, although the village was marked on the maps of the region from that period under the name Xacro. Its inhabitants were also not recorded in the census of 1671 made during the Turkish partition. The village was probably destroyed and abandoned during the Turkish invasions that took place in 1471 and in 1538. For the first time in the census, residents of Zakros appear only in 1820. The etymology of the name Zakros is also not known, although it is believed to be the pre-Hellenic word. One theory involves Zakros with Za-ka-ron, a maritime people who invaded Egypt in the 13th century BC. However, it did not gain popularity. Next to the road connecting the village of Zakros from Kato Zakros are the remains of a villa from the late Minoan period. It was discovered in 1965 by I. Sakellarakis and Nikolaos Plato, the discoverer of the Minoan palace in Kato Zakros . The villa had full facilities for wine production. There was found a wine press with two tanks, fragments of wall paintings and clay pots with inscriptions engraved in linear writing A. The wine press found here is now exhibited at the Archaeological Museum in Sitia. Many such places are still waiting to be discovered, because this area was of great importance in the Minoan era. There are stories (we do not know how many truths are in them) about the local inhabitants who, while working in their own gardens, excavated by accident the Minoan tombs. However, the finds were nowhere reported, and the excavations found were quickly filled up. Residents were afraid that after marking the site of the discovery as an archaeological site they would lose their homes. Seemingly such an action seems irrational. Anyone who knows the way archaeologists work in Greece knows that these fears were not unfounded. If someone is planning to make a base in Zakros to explore the area, there are only a few guesthouses in the village itself. Places should be booked here well in advance. As we wrote above, there are not many lodgings in this area, but the number of vacationers is growing more and more from the hustle and bustle of tourist centers. In the village itself there are also several shops with basic supplies, taverns and a shop with regional products. In addition, the village itself is quite interesting and picturesque, so it is worth just walking its streets and delve into its recesses. It is also worth paying attention to the other interesting places located in Zakros. These will be restored mills, a former cheese factory and a small church of Afentis Christos, in which the remains of a fresco depicting Christ have been preserved. In Zakros there is also the Museum of Water and Plumbing located in three water mills restored in 2007. It is a thematic museum whose aim is to collect any objects or other materials related to the use of water in past eras, but also to emphasize the importance of water in our times. If you decide to come to Zakros for a longer period, it is worth bearing in mind the very poor bus communication being carried out in this region of the island. Buses from Heraklion or Chania do not come here. If you want to get KTEL to Zakros, it will be necessary to change in Sitia . At the same time, only two buses per day leave for Zakros in the high season. In the off-season, communication is even more difficult because two courses a day are only carried out on Mondays, Tuesdays and Fridays. So if someone is interested in mobility in this area of Crete, then a car or scooter will be necessary. 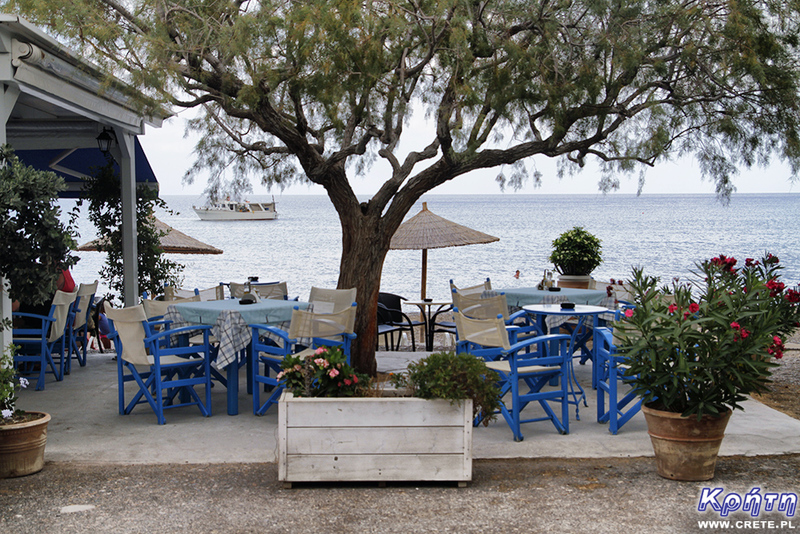 8 km from the village of Zakros, on the seafront above the picturesque bay, lies the village of Kato Zakros. Although in the town itself there is just a large number of taverns, this place is the main destination for tourist trips. In Kato Zakros there are extensive ruins of the Minoan palace which was then the religious, administrative and commercial center of the region. In Kato Zakros there is also one of the entrances to the Zakros Gorge, also known as the Gorge of the Dead. It is extremely picturesque which is especially visible on sunny days when the color of high rocks is underlined by sunny rays. The name of the gorge comes from numerous Minoan graves, which were found here in the nearby rock caves. In Kato Zakros itself, you will not find anything interesting except for the aforementioned taverns. This is a purely tourist destination, where one of many great taverns can simply take a break from sightseeing. An undoubted advantage of these premises is that they are located right next to the beach. At a distance of 5 km from Kato Zakros, there is also the impressive Pelekita cave, one of the largest caves in Crete. Its total length is 310 m in a straight line, and the total area is 4.5 acres. On its grounds were found traces of residence from the Neolithic era. A ja przede wszystkim proponuje przejście z Zakros do Kato Zakros - wąwóz jest ładny, w przeciwieństwie do większości wąwozów Krety cały rok płynie nim woda więc jest zielony. Przejście nie jest trudne spokojnie w jednym dniu da się zejść, zwiedzić ruiny w Kato Zakros i wrócić do Zakros. Piotr, opis wąwozu na pewno z czasem pojawi się na naszej stronie. My również polecamy zwiedzenie tego wąwozu. Tym bardziej, że dzięki kilku alternatywnych wejść szlak można zrealizować na kilka sposobów. Plakias is a perfect place for people who like to spend time hiking. In the area of ​​the town and the surrounding area there are several walking routes marked out, which you can reach to interesting beaches or gorges. It is worth mentioning places such as Skinaria, Damnoni or Preveli beaches as well as Kotsifou and Kouartaliotiko ravines. It is also worth visiting the nearby mountain villages, from which there is a beautiful panorama of Plakias Bay. 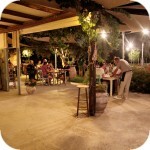 Matala is one of the most popular towns not only of the southern coast but also of the whole of Crete. In the 1960s and 1970s, this small fishing village became a mecca for hippies. Its hallmark is a rock with cavernous caves, where the beach is located. For several years, Matala Beach Festival has been organized here, which attracts fans of good music and entertainment for one June weekend.